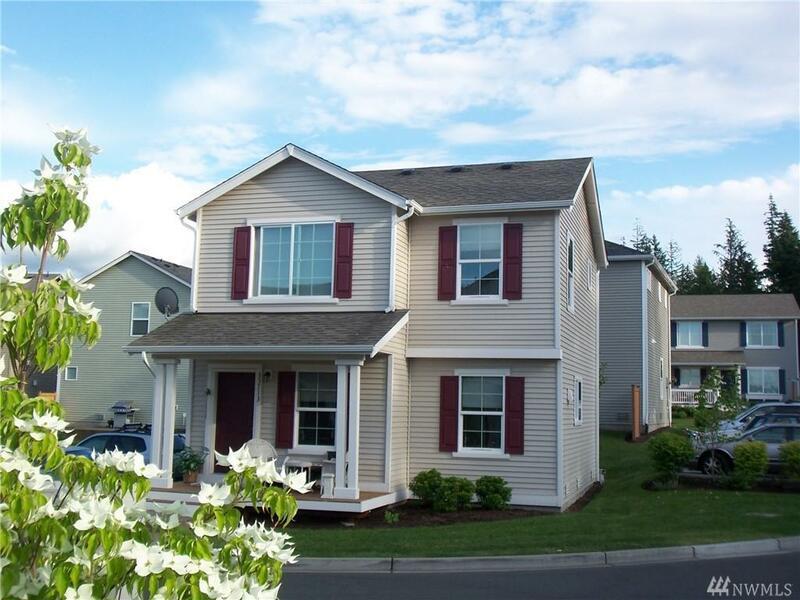 Perfect investment or first home in Cottages at Snoqualmie Ridge (ranked #1 safest city). 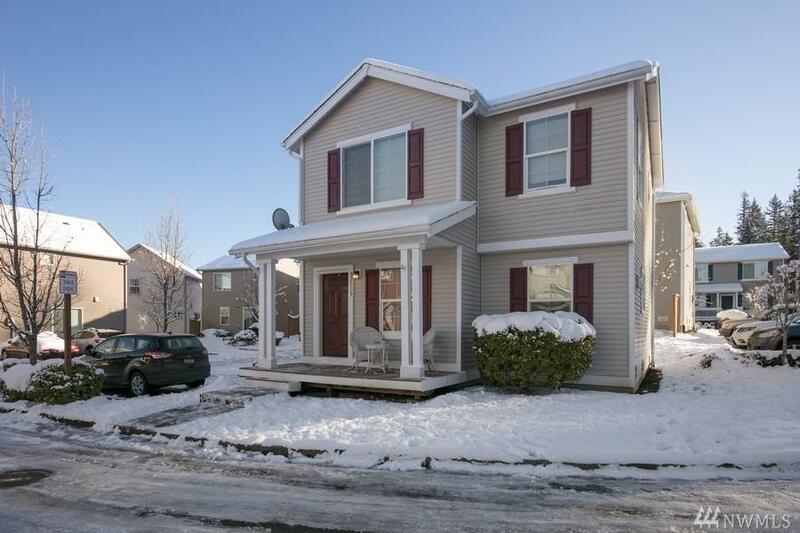 Light & bright, spotless home offers spacious living room, large kitchen w/breakfast counter, pantry, S/S appl. 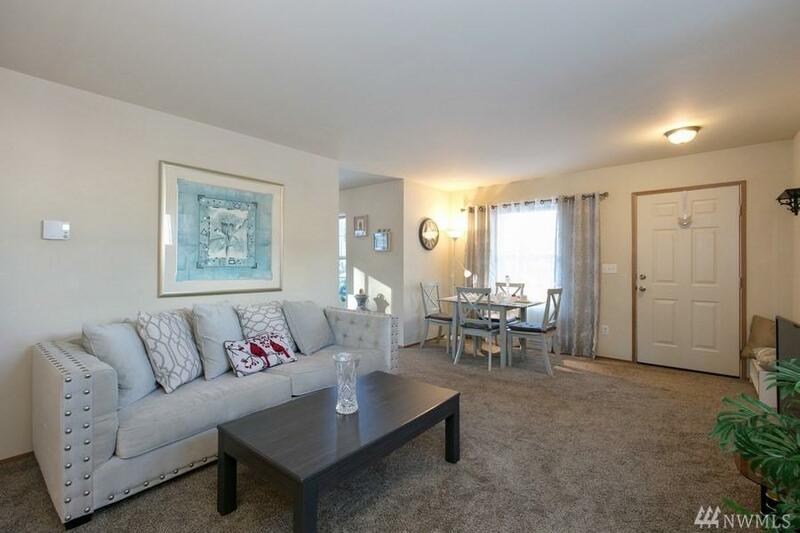 You'll find 2 bedroms up, master with W-I-C, full bath & laundry closet w/storage. Add'l storage under stairs. 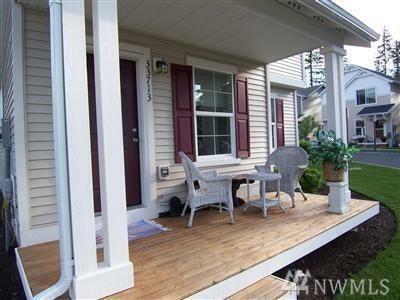 Features large porch, back patio & convenient parking. Strong HOA covers ins., exterior & grounds. Great schools. Close to retail village, shopping, dining. Easy access to I-90 & Hwy 18.